You know guys, Russia is not the best client-orientated country, we have enough rudeness in many services, we used to it, we used to inconvenience. Bet here i found a new record. This is a first site were you can easily loose 400$ for a split-second and all you can have is "sorry we make no refunds for adding seats"
But! We talking about a money, and if you spend money online, you can make mistakes. And here i made one. 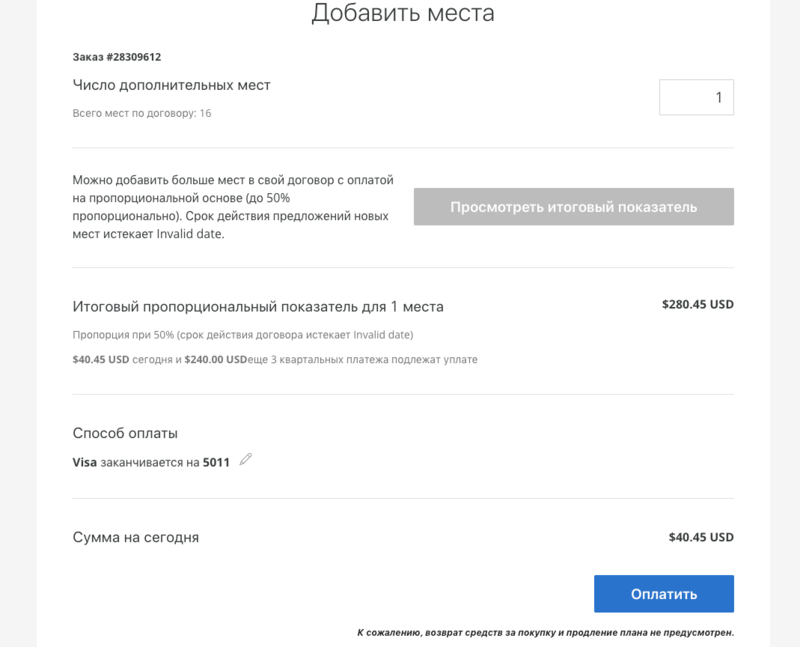 Because if you pay for smth in Russia, I have to get the secure code by SMS, and we NEVER safe CCV/CVC etc codes on sites! But coursera does! So, here what i have: corporate account whith someone's card. Mistaken payment. No help from coursera ("Ah sorry, it will take a few days", well nice of you when the payment took a moment). Few weeks before i've spent nearly 2 weeks in support chats where support specialist just continued sending me from one to another. Now they have no chats. I have 2 different admin panels, no idea how to work with plans and seats, but no right to make a mistake. Great learning for company. Nice help from company that helps people to learn something, good job! Such security, so wow. In attachment - that's how the "buy" window looks. Blue button, not possible to switch between the cards, no warning windows. Hi @Danil. I'm sorry to hear this, it sounds frustrating. Someone from our team will be contacting you to help you.